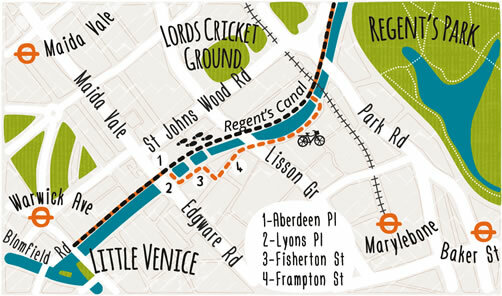 Home » Tourist » Circle Line Food Crawl! 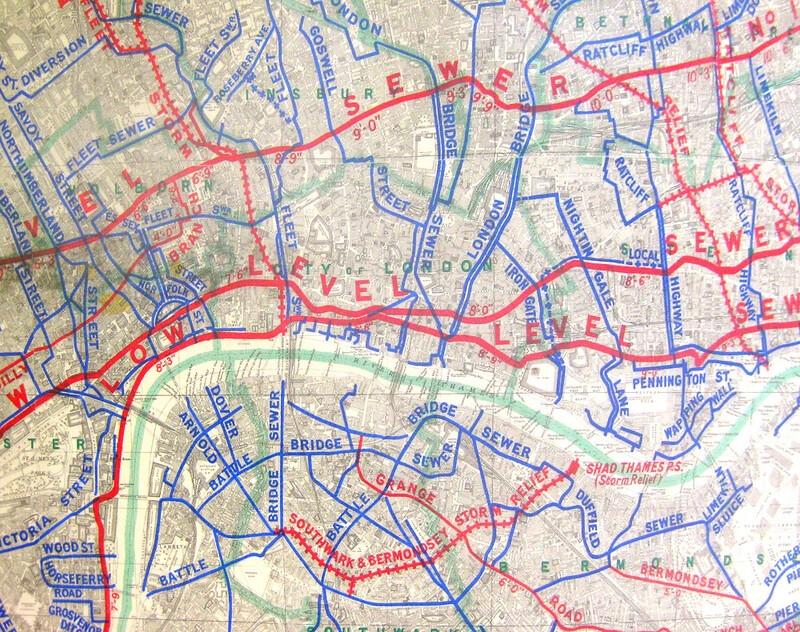 You’ve done the Circle Line Pub Crawl. Now try the Circle Line Food Crawl. 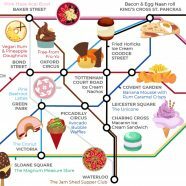 Or use this special “Food Tube Map”, produced by Wren Kitchens (they write about it here), to visit unusual gastronomic experiences anywhere inside the Zone 1 area marked out by the Circle Line. 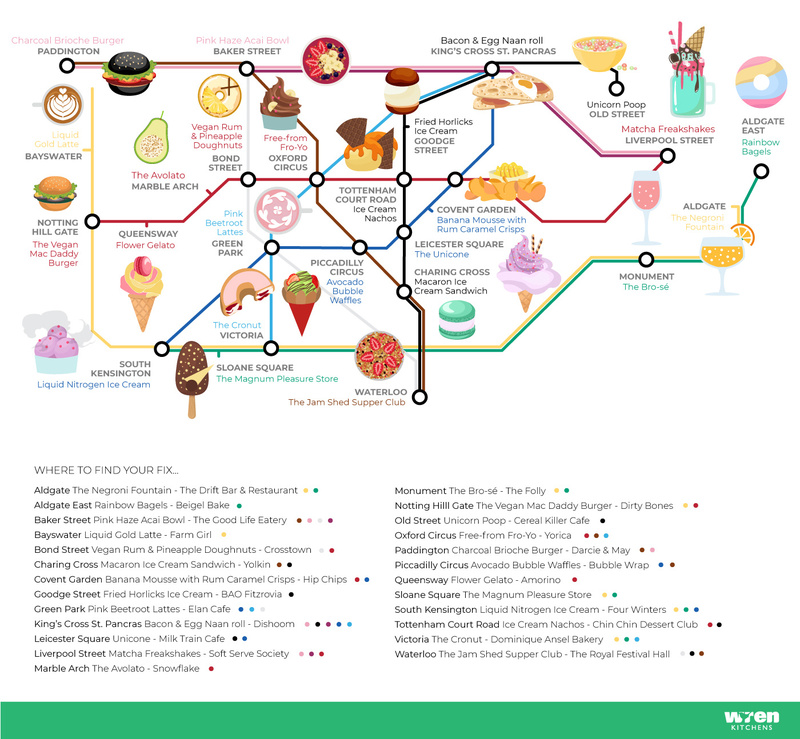 The 25 restaurants and eateries included in this graphic are all known for doing something a little bit unusual with their food – from vegan burgers to ice cream nachos. 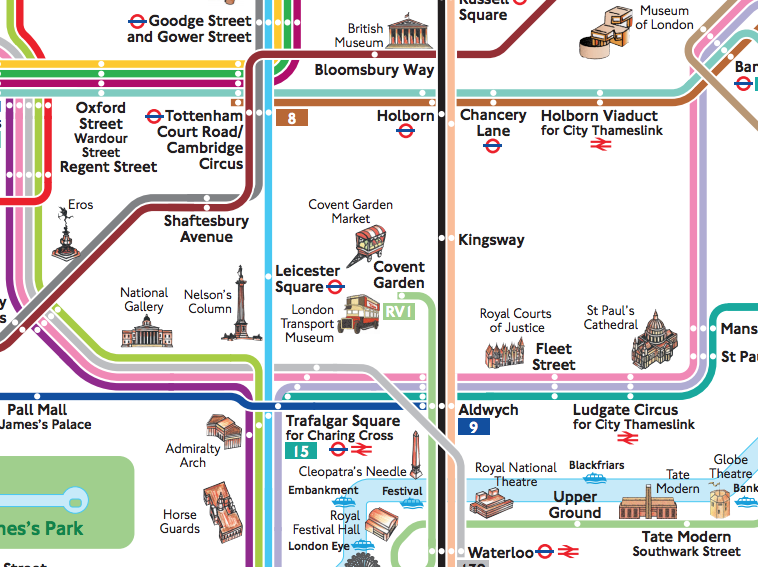 The map is based on the well-known tube map, focusing on central London. 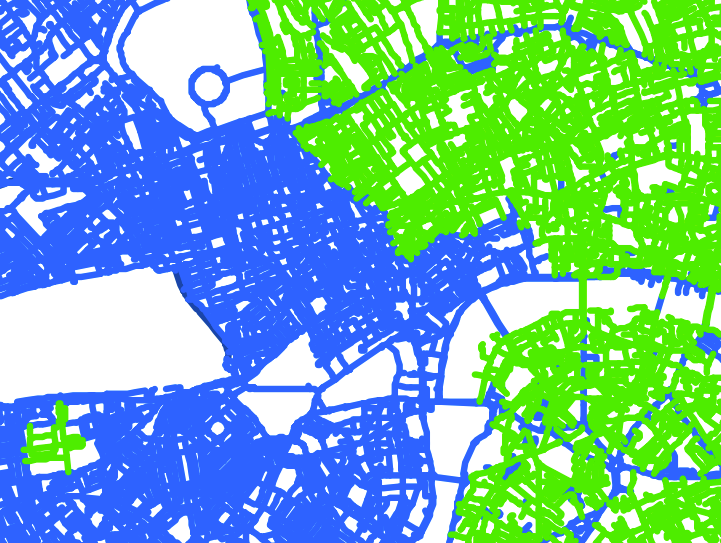 Note that it doesn’t quite include the whole Zone 1 network – the (yellow) Circle Line is substituted by the (pink) Hammersmith & City line, along the northern side of the network. As Wren Kitchens say: Over the last year, we’ve seen eateries pushing the boundaries and adding innovative new twists to classic dishes and drinks – particularly in London. From Fried Horlicks Ice Cream to Matcha Freakshakes; the capital currently boasts an extensive array of eccentric food/drink trends and experiences – that are proving to be a BIG hit with foodie’s, avid Instagrammers, and those that are simply just curious (and want to understand what all the fuss is about!). 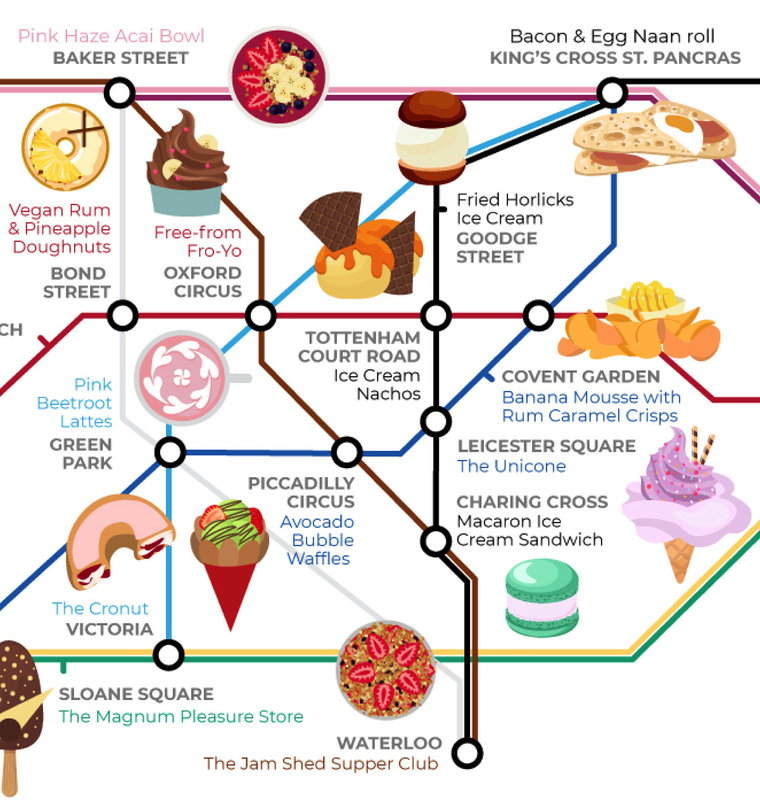 It’s clear that there’s an appetite for such products, with many travelling far and wide to give these exciting delicacies a try – therefore, Wren Kitchens have created a fun new visual that maps out exactly where you can find the latest food crazes across Central London, in order to help you plan your route. Anyway, plenty to try if you want something a bit different from your meat and two vegetables this evening. 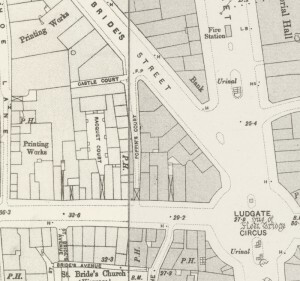 Thanks to Wren Kitchens for the map and information.